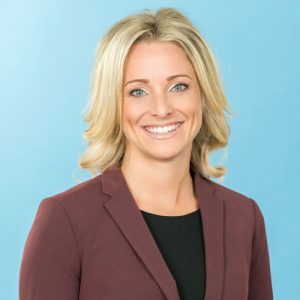 Ms. Melissa Myers utilizes over a decade of marketing experience to develop and implement marketing plans and investor relations strategies as the Senior Director of Marketing for Penn-Florida. She oversees Penn-Florida’s corporate marketing and communication initiatives, in addition to developing and implementing strategic planning across all lines of business including the company’s residential and mixed use development projects, existing commercial leasing portfolio and private club properties. Ms. Myers focuses include identifying tools and resources to generate new business, cultivating relationships with high-potential investors, directing public relations and media campaigns, overseeing high-profile development projects, and working with city and planning officials to ensure projects remain on pace for completion. Prior to working with Penn-Florida, Ms. Myers served as Director of Marketing for Elion Partners, an international private equity and real estate firm. Her industry experience also includes roles with prominent brokerage houses and real estate development firms such as Stiles, CBRE and The Related Group. She holds a degree in Business Management and Marketing from West Chester University, and studied Graphic Art at the University of Scranton’s College of Graduate Studies.